Moving ranks as the third most stressful life event, behind the death of a loved one and divorce. And if you’re a pet owner, you shouldn’t forget that a move can also be stressful for your furry pal. But careful pre-planning can reduce or avoid relocation problems for your pet. 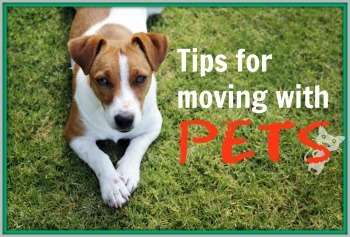 Consider the following tips for moving with pets to help your pet experience a smooth transition to his or her new home. Your regular routines are likely going to be disrupted as you plan for and execute a relocation. But it’s important to minimize the disruption in the routine of your pet as much as possible to avoid problems down the road. Try to stick with the pet’s regular schedule of feeding, exercise and playtime. If you’re selling a home, there are going to be lots of strangers around in the coming months – realtors, potential buyers, inspectors. Make plans for your pet for during these times. Perhaps your pet should be confined to a familiar crate so that he/ she feels safe when there are newcomers in the house. Or, a particularly sensitive animal might do better staying with a neighbor or boarding at a kennel during these times. Most states have laws pertaining to the entry of pets, and many municipalities enforce specific pet regulations. Contact the state veterinarian in the capitol of your new home state to learn about the laws, and get in touch with the city clerk or town hall in your new city to learn about license fees, leash laws, fences, and other pet restrictions. 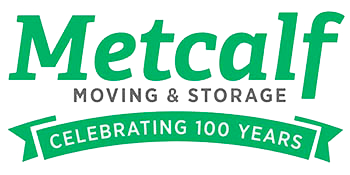 At the beginning of your moving process, before things get really busy, make an appointment with your vet to get all of your pet’s inoculations up to date. Many states require a health certificate for pets and verification that the animal is disease free. And if you plan to board your pet at any time, or will be transporting the animal in an airplane, you’ll need this paperwork, as well. Now is the time to make sure your pet has proper identification with your name and emergency contact information. In addition to the animal’s permanent ID and rabies tag, make a temporary ID tag with your cell phone number and the number of a friend or relative who would be easy to reach while you’re traveling to your new home. This might also be the time to consider chip identification for your pet, since you’ll soon be living in unfamiliar surroundings. If you’re moving your pet by airplane, contact the airlines for rules and regulations, transportation charges and container/carrier requirements. Make your reservations well in advance because pet approval is granted on a first-come, first-served basis. And feed your pet no less than five or six hours before flight time. Give him/her water about two hours before take-off. If you’re moving your pet by car, start making a list of items you’ll need for a “pet travel kit,” including a carrier, collapsible dishes, favorite toys, water, food and treats. If your pet isn’t used to car travel, start practicing with short trips around the neighborhood. If necessary, ask your vet about tranquilizers to relax the animal. And when traveling with a pet, it’s a good idea to have a “clean-up kit” in the car for motion sickness situations. Don’t forget to take a few exercise, water and bathroom breaks, and remember, you won’t be able to stop for leisurely meals if you have an animal in the car. After moving into a new house, immediately walk your dog around the neighborhood so that he/she becomes familiar with the new area. Establish boundaries in the yard for your dog to roam, and help him/her become accustomed to the new environment by maintaining a regular feeding and walking schedule. Try not to expose your cat to your new living arrangements all at once. It’s a good idea to limit the number of rooms the cat is allowed in and gradually let him/her explore. Surround the cat with familiar items during the move to reduce emotional stress, and once you’re in your new home, don’t let your cat outside until he/she is familiar with the new living environment to reduce the risk of running away.